2 Toiletten mit Dusche, eine mit Waschmaschine. In der mittleren Etage befindet sich die Hauptküche mit Ofen, 4 Kochplatten und Sitzbereich. Eine zweite, kleinere Küche befindet sich daneben, mit Mikrowelle, Arbeitsfläche, großem Kühl-/Gefrierschrank und Recyclingbereich. Einige Bücher stehen zur Verfügung. Ferngläser. Klimaanlage im Obergeschoss (im Preis inbegriffen). Nice garden and outside sitting areas, with great views. The interior was a nice mix of traditional and more contemporary. The sitting room was not very inviting and could be made more comfortable. The kitchen was well equipped. The main bedroom, being at the top of the house, was rather warm, and having the air conditioning unit located outside this room rather than inside it did not do a great deal to reduce the temperature in the bedroom to a more comfortable level. Nancy was quick to respond to any queries we raised during our stay. 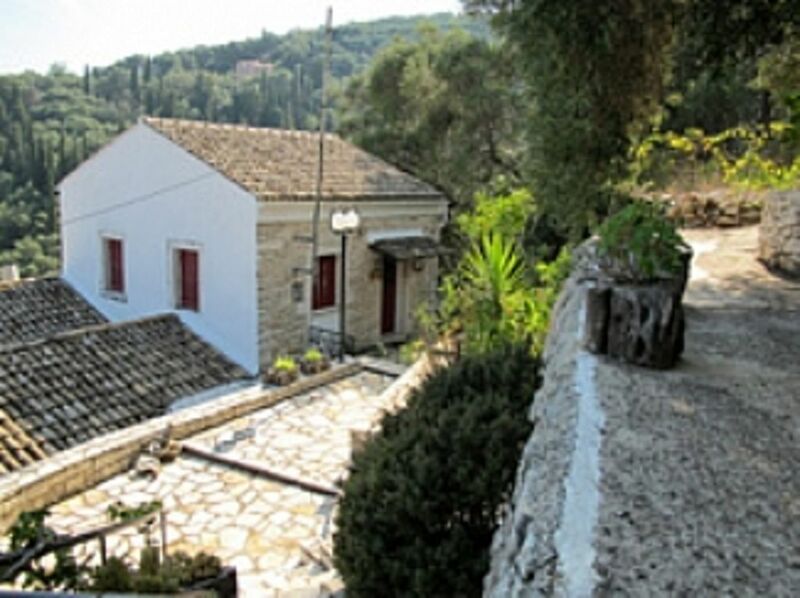 Beautiful house with fabulous views within a 10 minute walk to the exclusive Agni Bay. The neighbors were all super kind and we really felt like we were living in a village. We even were lucky enough to be there during a Greek festival which was MAGICAL! I'm from NYC and super fussy and stayed we love this villa. The pool was great and there were beautiful walks to take. We couldn't ask for more! Thank you! scenic with lots of lovely bays and places to eat. We would thoroughly recommend a stay in this lovely house. In Agni gibt es 3 griechische Tavernen, in Kalami, Nissaki und im Nordosten wesentlich mehr. Supermärkte (in Gimari, Kalami, und auf dem Weg nach Kassiopi und Nissaki). Geldautomaten und Wechselstuben gibt es in Kassiopi. Internetzugang im Hotel Kassiami & Hotel Nissaki. Einen Arzt in Kalami. Apotheke in Kassiopi. Souvenirgeschäfte und weitere Einkaufsmöglichkeiten in Kalami, Nissaki & Kassiopi. Auto- und Fahrradvermietungen in Kalami. Bootausflüge in Kalami. Booking Notes Please email us for details.